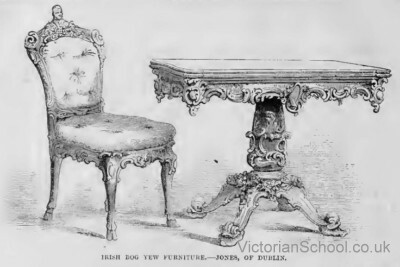 Nothing, perhaps, symbolises the pride of the Victorian era more than the Great Exhibition of 1851. It was a shameless display of the greatness of the mother country to the British Empire and the world. It was a proud and triumphant moment that, in many ways, has never been equalled. It was organised by Henry Cole, best known as the inventor of the Christmas card, and Prince Albert, and it was attended by royalty, by leading figures in literature and science, and by six million British people, a third of the population of Britain at the time. Entrance prices varied from three guineas (about £275 in modern money) down to one shilling (about £4.35). 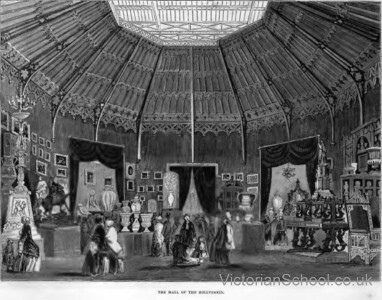 The exhibition was opened by Queen Victoria on May Day 1851 and it ran until 15 October. 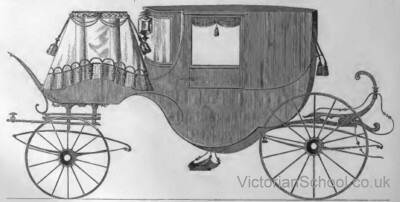 Queen Victoria and the royal family visited three times during the six month run. 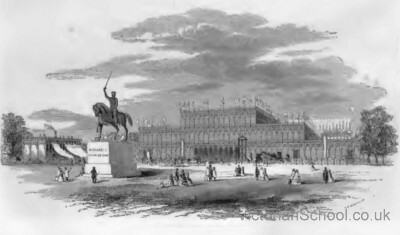 The Great Exhibition, in Hyde Park, London, was housed in a special building designed by Joseph Paxton assisted by structural engineer Charles Fox. Isambard Kingdom Brunel was on the committee responsible for overseeing its construction. 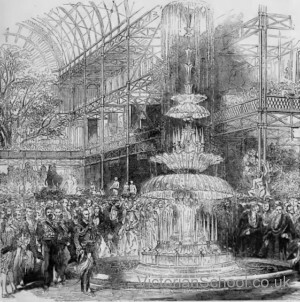 The massive glass house came to be called the Crystal Palace or the Great Shalimar.It was 1848 feet (about 563 metres) long by 454 feet (about 138 metres) wide, nearly 80,000 sq m. It was constructed of a cast iron frame with many panels of glass, over a million feet in total! 5000 workmen built the construction. 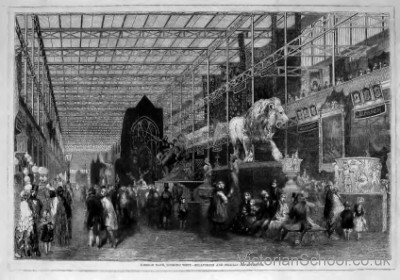 Inside the exhibition was arranged so that the best British exhibits were most prominently on display. To entertain visitors while walking around the exhibition a number of church organs were installed, the biggest called the Leviathan, the largest organ in the world, built by a British builder, had 4474 pipes and 77 stops. The Centre Transept also housed a circus and was the scene of daring feats by world famous acts such as the tightrope walker Blondin. There were also areas for shows such as cat shows, dog shows, pigeon shows, honey and flowers. The Crystal Palace had the first major installation of public toilets with sanitary engineer George Jennings installing his "Monkey Closet" flushing lavatory. The flushing toilets were originally for the use of gentlemen, but were later also made available to ladies. A charge of 1d (one penny) was made for the use of the toilets, and it has been suggested that this was responsible for the euphemism "spending a penny" meaning to go to the toilet. 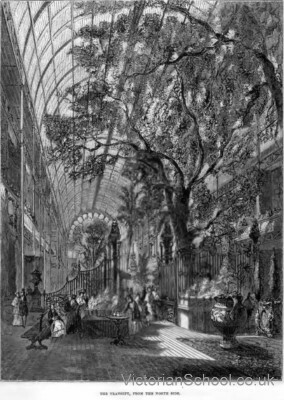 Full-size, living elm trees in the park were enclosed within the central exhibition hall and there was a 27-foot tall Crystal Fountain. 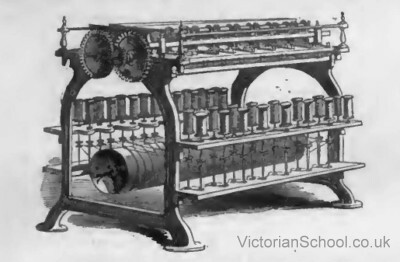 The Exhibition, in typical Victorian efficiency, made a profit of £186,000, over £16m in today's terms, and this was used to found the Victoria and Albert Museum, the Science Museum and the Natural History Museum. Not everybody agreed with holding the exhibition. Some thought it might lead to violence and disorder, while the communist, Karl Marx, saw it as a shameful display of capitalism. The Koh-i-noor, the world's biggest known diamond at the time of the Great Exhibition. George Jennings designed the first public conveniences in the Retiring Rooms of the Crystal Palace, for which he charged one penny. A stiletto umbrella for "defensive" purposes. 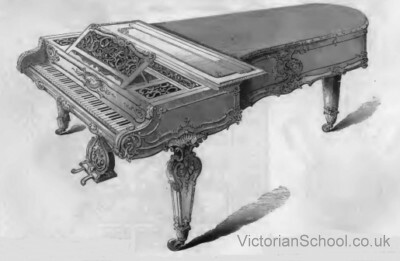 Folding pianos, designed to be used on yachts. "Tangible" ink which produced raised letters for the blind to read. USA sent a giant eagle holding a stars and stripes flag draped around it. Amongst many other exhibits, one that attracted much attention was the recently invented Bell telegraph. A statue by Hiram Power of a Greek slave, carved in marble, attracted a great deal of attention. It may have been the workmanship, or it could have been that she was clad in nothing more than a small piece of chain. Russia sent huge vases and urns made of porcelain and malachite, which stood ten or twelve feet high. A swarm of more than 200,000 bees enclosed in a large glass case. There were around 100,000 objects displayed by 15,000 exhibitors. More than half of them came from Great Britain. France had the next largest displays with tapestries, textiles, stained glass, art and many hoer items of culture. When the Great Exhibition closed, the Crystal Palace was dismantled carefully and moved to Sydenham Hill in South London and rebuilt. The new Crystal Palace park at Sydenham was opened by Queen Victoria on June 10th, 1854. It was, in effect a kind of Victorian Theme park. It was used extensively for exhibitions and displays, and even became the home of early television studios, but sadly in 1936 it was destroyed by a devastating fire.